The koala is only one more species in the endangered list. There are some categories in which we can classify the species. The first one is least concern which means that have opportunities to survive. The second one is vulnerable that faces a high risk of extinction. The third one is extinct which means that the last remaining member of the species has died, or is resumed beyond reasonable doubt to have died. 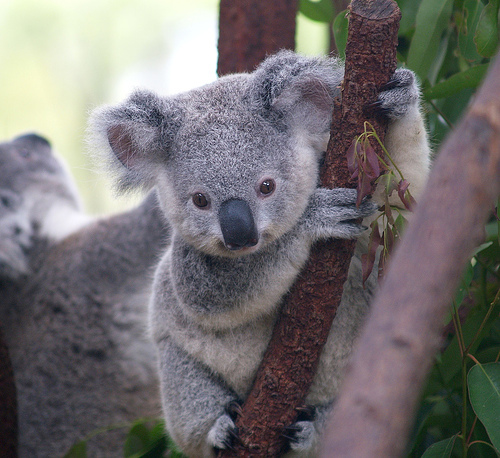 In this page you will learn a little bit of the koala specie. I would like to remain you that all of us can help to protect this specie if we want to. Remember that without species there will be a total chaos in our planet and this will cause several problems. I hope you learn something interesting in this page and also that you can make conscience about this important and significant fact that we are living in our planet.